We are raising money on behalf of Adyatma eL Rahmit in order to try and save his young life. 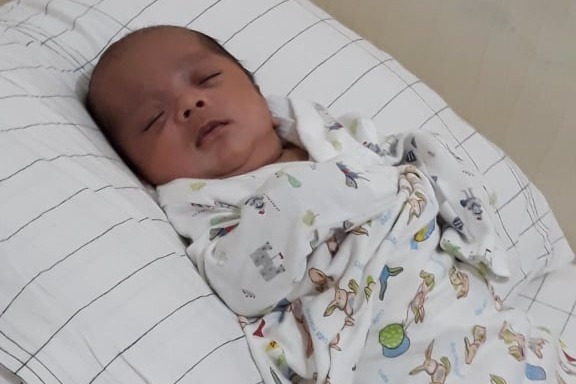 Adyatma's mother, Adek (Latifah Ainun) was a long time employee at Kandui Resort, is part of the extended Kandui family, and is in dire need of our help to save her baby. 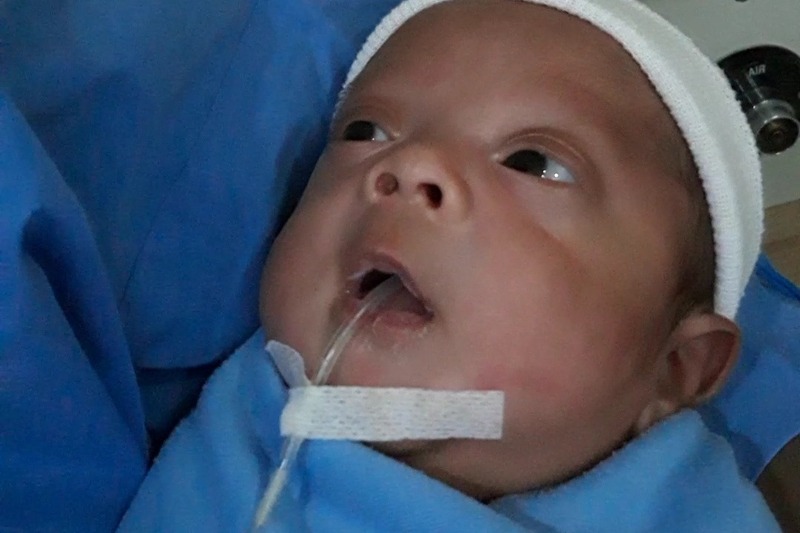 Adyatma was born severely premature after his mother Adek developed an amniotic fluid infection. 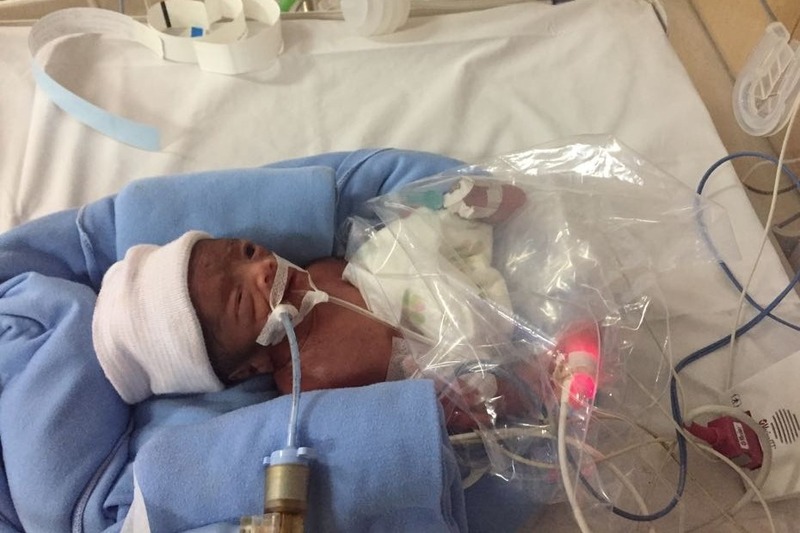 He was born at 25 weeks and 6 days gestation and weighed just 900 grams (2 pounds). Adek's doctors insisted she deliver the baby early due to the severity of the infection and risk to the lives of both her and the baby. 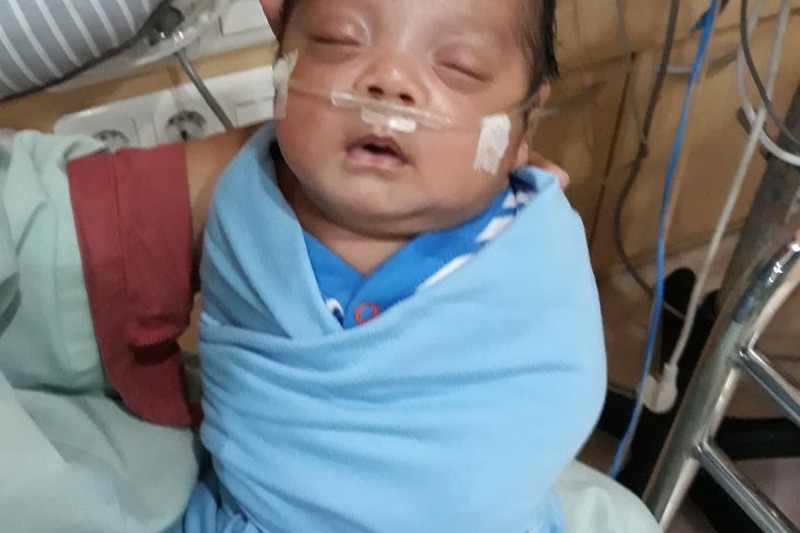 Young Adyatma is a fighter and survived being born so prematurely but he has significant medical needs and remains dependent on a ventilator to breath since his lungs have yet to develop fully. He is currently being treated in the neonatal ICU at Rumah Sakit Ibu dan Anak Bunda Hospital in Jakarta, Indonesia. 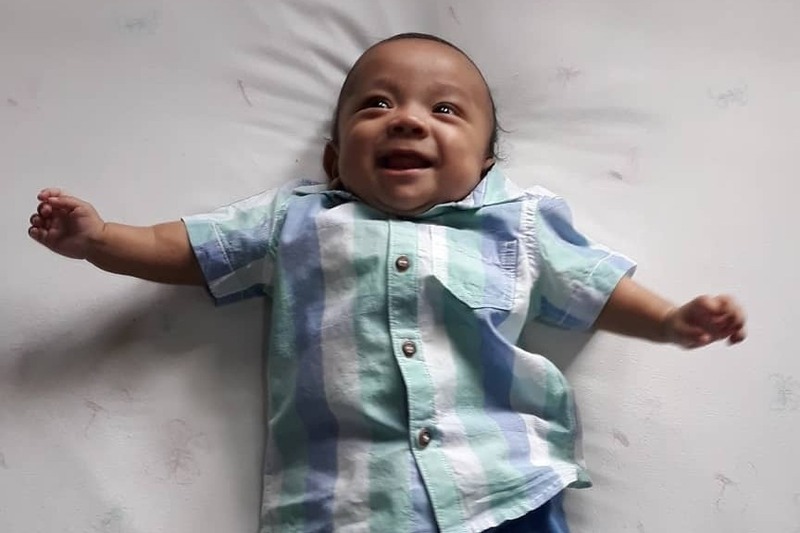 His medical needs currently include a tube for feeding, intravenous lines for the medications he receives, continuous body temperature monitoring, and continuous monitoring of his heart rate, blood pressure, and oxygen saturations. He has also developed a lung infection that is being treated with IV antibiotics. 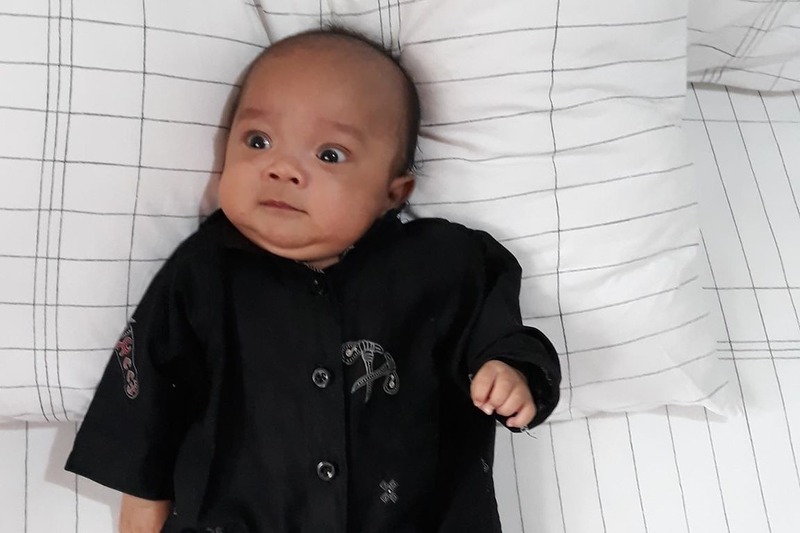 Adek has been told by the hospital that they cannot continue caring for her child if she is unable to pay for his continued care. Adek does not have health insurance and thus far her pleas for assistance from the Indonesia government have gone unanswered. Adek reached out to us asking if there was anything we could do so we came up with a plan and this GoFundMe was created. We have an amazing network of people who have come through Kandui Resort over the years and who have become a part of the Kandui Resort family. We are hoping that with your help we can all pitch in to raise the funds needed to give Adyatma a fighting chance. The hospital has estimated that Adyatma's hospital costs will be at least $50,000.00 and he has already received a hospital bill for $40,000.00 for the first two months of care. We have set a goal of $70,000 as Adyatma is likely going to still require some medical care once he leaves the hospital and we want to make sure he has the care he needs to complete his recovery. Whatever contribution you can make will be greatly appreciated and all funds raised will go directly to Adek to pay for Adyatma's medical care. Before they did the c-section, they told me and my husband that the possibility my child surviving was only 30-40%. They estimated the baby's weight was only 500-700 grams and told me that most likely my baby would not survive. My husband and I asked the doctors to do everything they could do to save my child. The doctor held a meeting before I delivered my baby, including with the pediatrician who now cares for Adyatma, and he told me he would try to do the best for my baby and asked me to help by praying because there was nothing I could do but pray. After the baby was born weighing 900 grams they immediately put in the breathing tube, lots of hoses and tools that I didn't understand what they were for. They gave him a plastic bag as a blanket and put him in a little baby warmer. Sunday, July 22, 2018 was the first day I met Adyatma. The sky seemed to collapse and my world felt like it was flipped upside down. I did not understand what I was experiencing. I felt very frustrated and wanted to die, but every time I saw Adyatma he was very active, he seemed to tell me "don't be sad, mama, we will be able to pass this." Adyatma has always been the source of strength for my husband and I through all of this. Even though our baby's condition remained critical, the hospital continued to ask for money. We felt very depressed and overwhelmed thinking that we would not be able to pay for the continued care of our baby. I did not know what to do but I remembered I had a father figure who may be able to help me. He is the kindest person I ever met in the Mentawaii's when I worked at Kandui Resort a few years ago, his name is Ray Wilcoxen. I wrote to Ray and I told him exactly what happened, I thought he would be petrified. I knew this was not a small amount of money and I would probably not make this much money in my entire life. I asked Ray to find an association or NGO and see if they could help with Adyatma's treatment. I don't know exactly what Ray did, but finally he found Angels for me and my family, especially Adyatma. He was Mario Quiros. I have never even met Mario but he has an angel-like heart. Yes he is the angel God sent to me and my family. I don't know how Mario worked in less than 2 weeks to collect $ 25,000 for the payment of my first bill for Adyatma's treatment. Mario worked day and night to raise funds. Not only Mario but also Ali his wife also worked hard raise funds even though she was pregnant herself. I really do not know how to repay Mario and his extended family. On this occasion I would also like to thank the Kandui Resort family, Cecilia Folkesson and her family, and all of my friends who helped raise funds. I don't know what else I can say... only thanks. I will teach my children to always be good people like all of the amazing people who have opened up their hearts and helped me and my family in our time of need. 3. 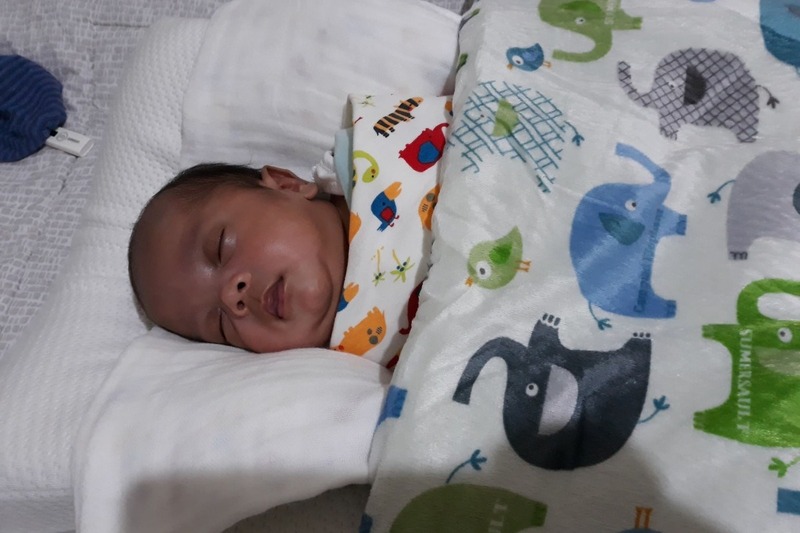 I am raising money for a friend named Latifah Ainun (nickname Adek for prior Kandui guests) and her son Adyatma el Rahmit. I am a physician and have spent my past 5 summers volunteering my time and services at a surf resort in Indonesia called Kandui Resort. I have had the honor of making many friends during my time in this remote part of the world and this GoFundMe page was established to help one of those friends and her son in their time of need. 4. 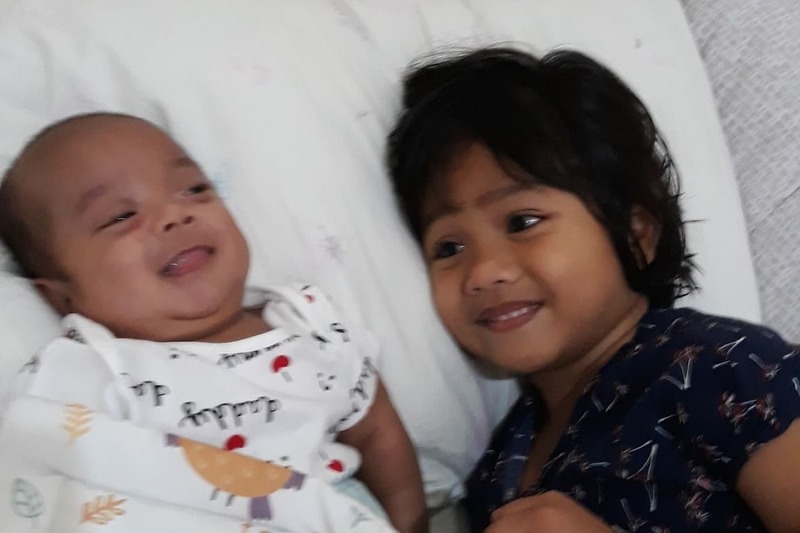 All of the funds will be used by Adek to cover the medical expenses accrued in the care of her child who remains hospitalized in a hospital in Jakarta, Indonesia. 5. I will be withdrawing the money and sending it directly to Adek. I will wire the money to her bank account in Indonesia once we have reached our funding goals or I will be sending the total balance in the account on September 13th, 2018 if we have not yet reached our goal since she is required to pay the first $25,000 bill by September 15th, 2018. I hope this information helps provide transparency to all who have donated as well as the GoFundMe hosting site who has requested this information. and bring it to my attention. I just wanted to update everyone on Adyatma's progress since it has been awhile. Adyatma is doing great! He is a normal, happy baby and developing better than any of us could have imagined when this journey started. I have attached a few pictures and videos Adek recently sent me. They brought a smile to my face and I hope it will bring a smile to yours. Thank you all for your generous contributions and support of this cause. This community came together to save this young man's life and I hope each and every one of you are proud of the contribution you made. Happy New Years everyone! I just wanted to give everyone an update on Adyatma. He is at home, doing well, growing and getting stronger every day. He has had some very minor set backs over the last few months and had to be hospitalized for a few days but overall he is doing incredibly well. Adek thanks each and every one of you for making this success story possible and I want you all to know that each and every one of you played a part in making his recovery possible. Lastly I have been trying to reach out to Jose Calderin with no success. Jose if you get this update or if any of you are friends with Jose Calderin please have him contact me or Kandui Resort. My email is MdmarioQ@gmail.com and Kandui Resort can be reached at contact@Kanduiresort.com. I hope you all have an amazing 2019 and thank you for your contributions, thoughts, and prayers in 2018 that helped save this young man's life. Adyatma has been discharged home from the hospital!!! 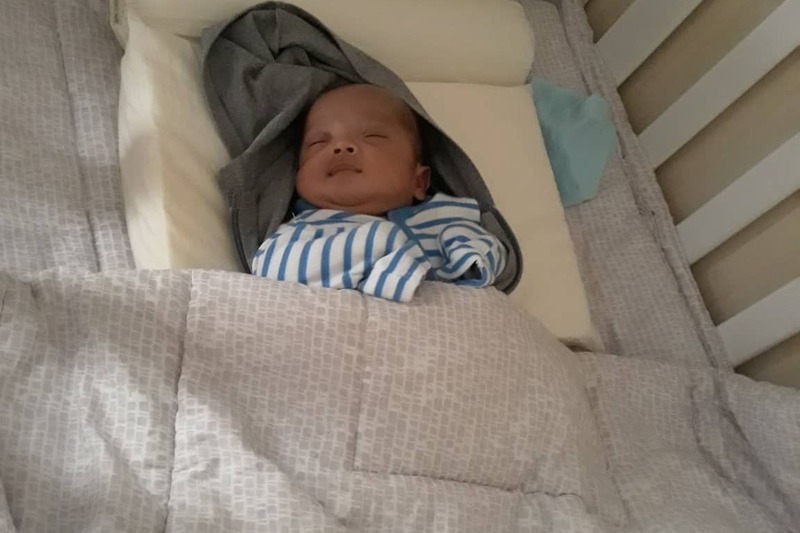 He is at home with his family, sleeping in his own crib, and he has made a miraculous recovery. He is 2 weeks past what would have been his expected due date and he is spending his days like any other normal baby. Adek and her family are incredibly grateful for everything this community has done for them. Each and every one of your contributions have literally saved this little boy's life. It just goes to show what good we can do when we all work together. Adyatma is continuing to do well. He currently weighs 3400g, continues to grow and get stronger every day, and had his feeding tube removed a few days ago. He is now being fed from a bottle and eating completely on his own. He is currently using some supplemental oxygen which was a minor setback after going one week oxygen free but this is to be expected and the doctors hope they can try and wean him off the oxygen again soon. He no longer requires an incubator and is sleeping in a normal baby bassinet. 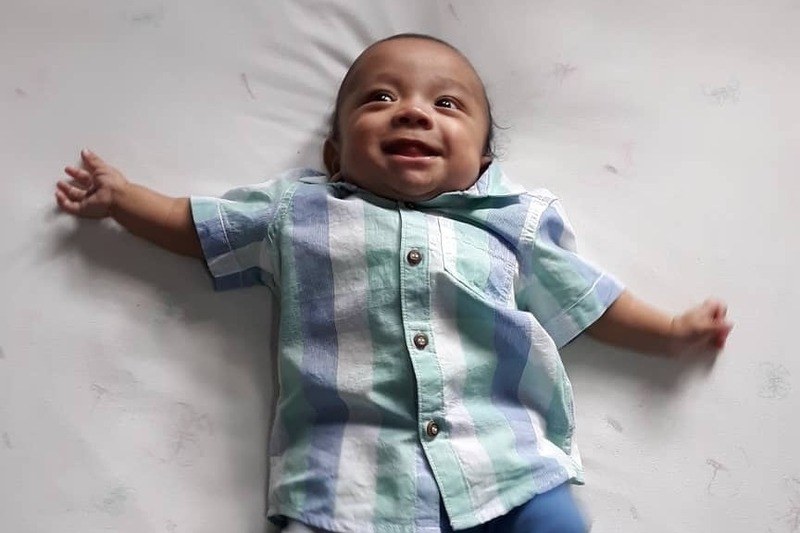 He recently had a full battery of tests including tests on his heart which returned normal, tests on his brain which returned normal, tests for laryngomalacia showed that his laryngomalacia has resolved, and all of his recent blood work looked great. Adyatma has been alive for 100 days now and today marks his expected delivery date if he was not born prematurely. All of the doctors are ecstatic about his progress to date as he has exceeded all expectations. Adek wants to thank you all for your continued support and prayers. She wants each and every one of you to know that without your support and prayers this miraculous recovery would not have been possible. Lastly we are in our last stages of fundraising. All of Adyatma's hospital bills have been paid but we are expecting him to have some residual healthcare costs as he prepares to go home and complete his recovery. We have increased our fundraising goal to $75,000 to cover these anticipated expenses. Hopefully Adyatma will be going home for the first time within the next week. Thank you from the bottom of my heart to everyone who has helped save this little boy's life. You are all a part of this success story and I am humbled by the love and generosity you have all shown Adyatma and his family.